The first item in this giveaway is the RAVPower 45W PD Car Charger. 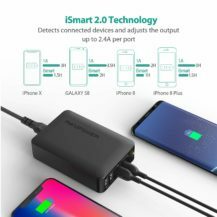 It features a USB-C port with Power Delivery technology that automatically detects your connected device type to ensure an optimal charge, plus an iSmart 2.0 USB output, and a LED indicator so that you know you are reliably connected. 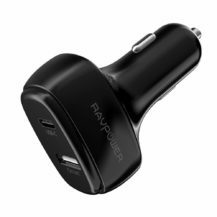 This car charger retails for $19.99, and we are giving away 5 of them, but if you'd like to purchase one right now, you can do so through the Amazon link below. 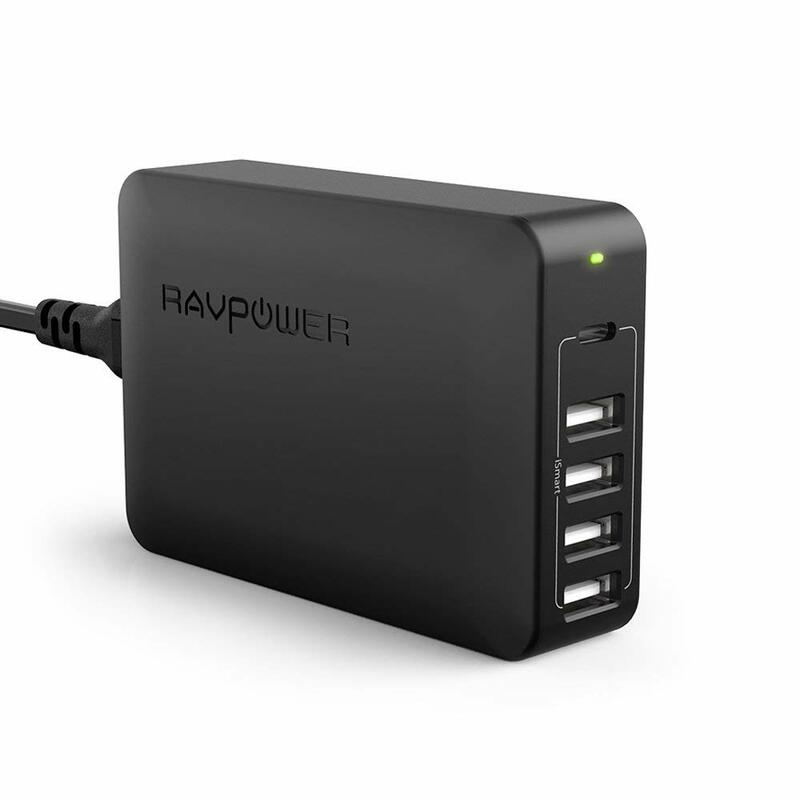 The second item in this giveaway is the RAVPower 60W 5-Port PD Charging Station. It contains one USB type-C PD 3.0 port, as well as four iSmart 2.0 USB ports to ensure quick simultaneous charging. 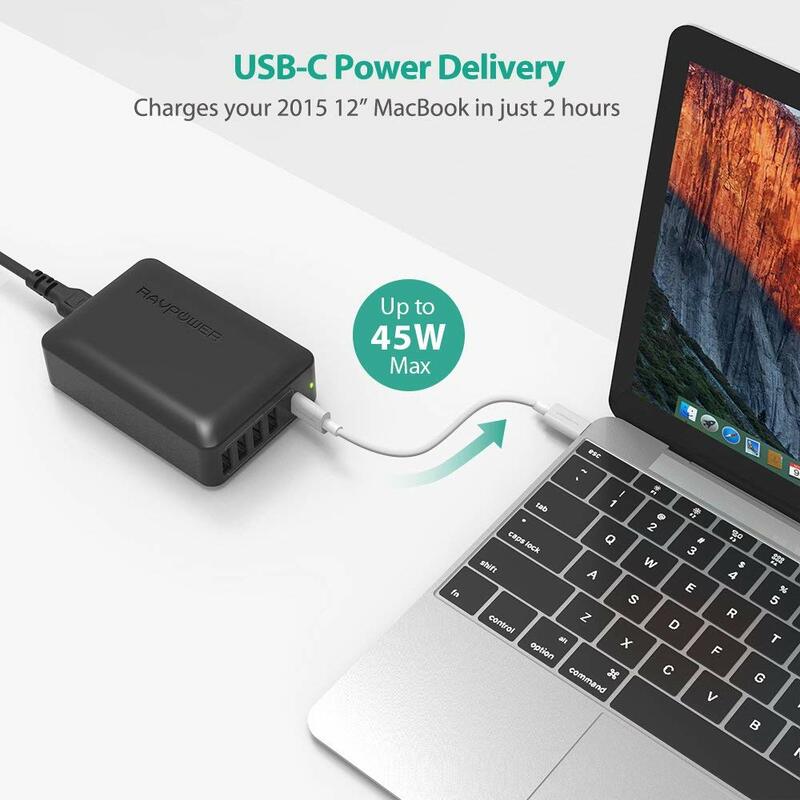 The USB-C ports can deliver up to 45W, and the iSmart 2.0 USBs can output up to 2.4A per port. 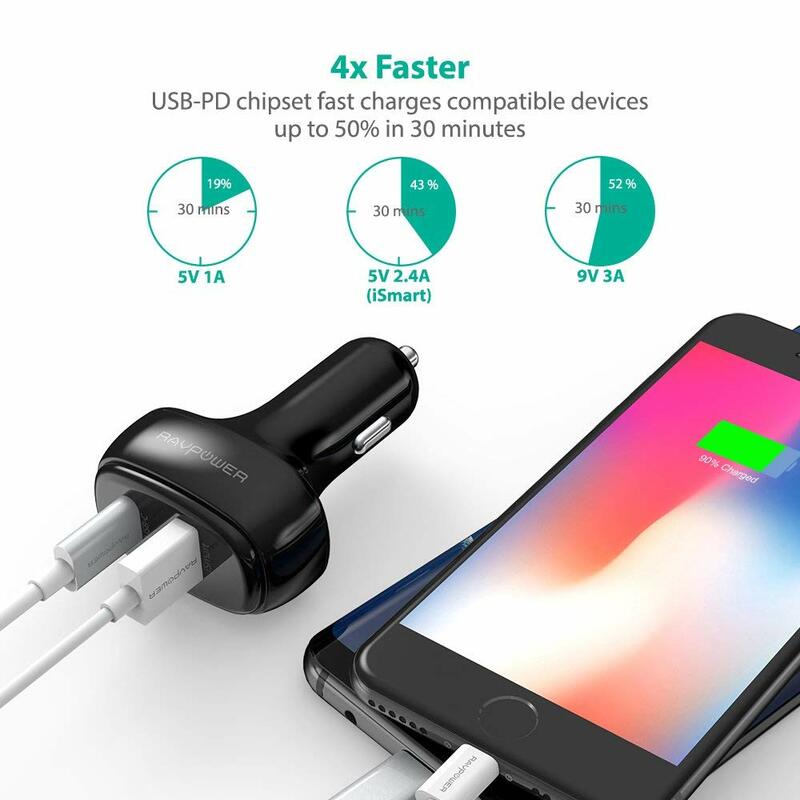 Of course, you can also take this charger abroad thanks to its universal 100V-240V AC input. This charging station retails for $39.99, and we are giving away 5 of them. If you'd like to purchase one right now, you can do so through the Amazon link below. The third item in today's giveaway is the RAVPower 45W PD Wall Charger. It is fully compatible with the MacBook, the Dell Xps 15/13, the Nintendo Switch, the iPhone Xs Max XR, the Ipad Pro 2018, and plenty more. 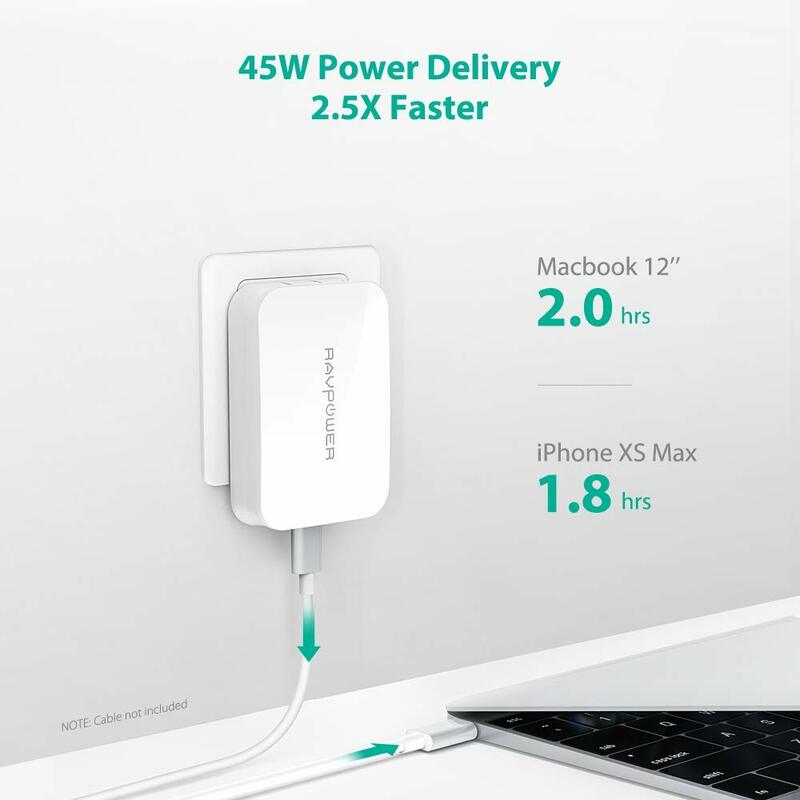 It can deliver 45-watts of power to charge and recharge all of your important devices at a high speed, plus its smart sensor technology will instantly recognize and provide the optimum charging efficiency for your device. 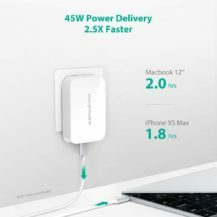 This wall charger retails for $54.99, and we are giving away 3 of them. If you'd like to purchase one right now, you can do so through the Amazon link below. 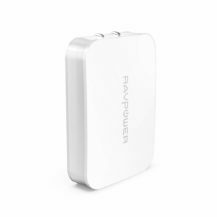 The fourth and last item in this giveaway is the RAVPower 26800mAh PD Portable Charger. 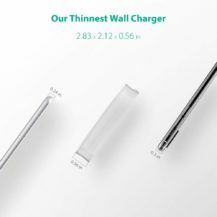 It offers a 26800mAh battery and can output 30W through its USB type-C. 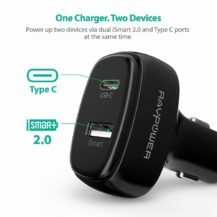 It also features 2A and 1A input recharging, as well as two 2.4A iSmart ports for a combined 3.4A total. 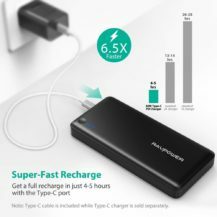 The A+ battery is rated for over 500 charge/recharge cycles, and includes an overcharge, short circuit, and current surge protection. 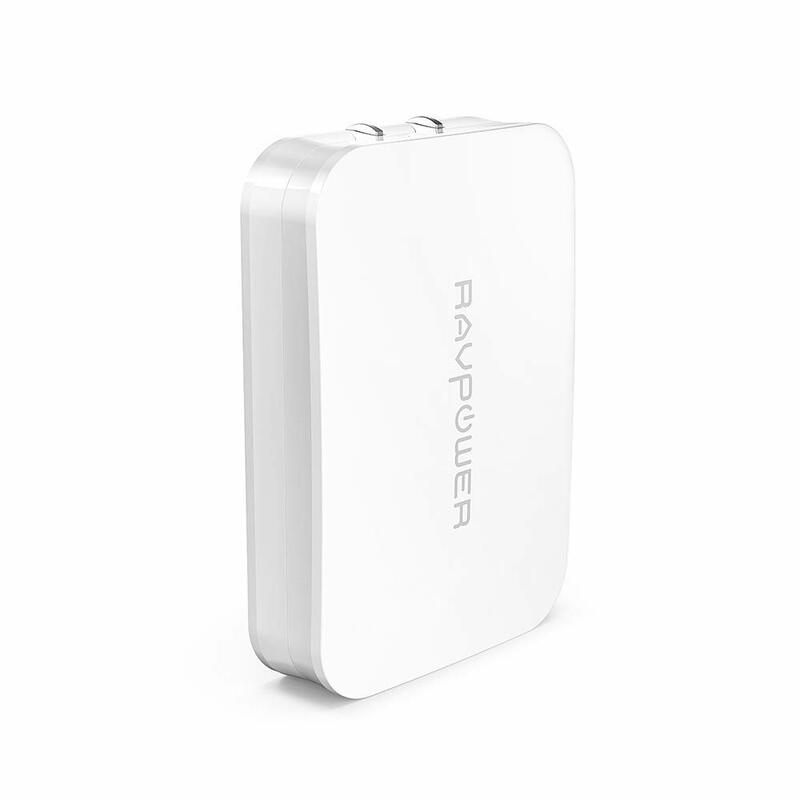 This portable charger retails for $79.99, and we are giving away 2 of them. 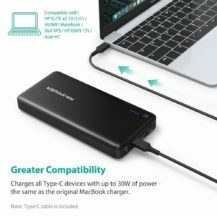 If you'd like to purchase one right now, you can do so through the Amazon link below. This giveaway will run from Tuesday, November 27th to 11:59pm PT on Thursday, November 29th. 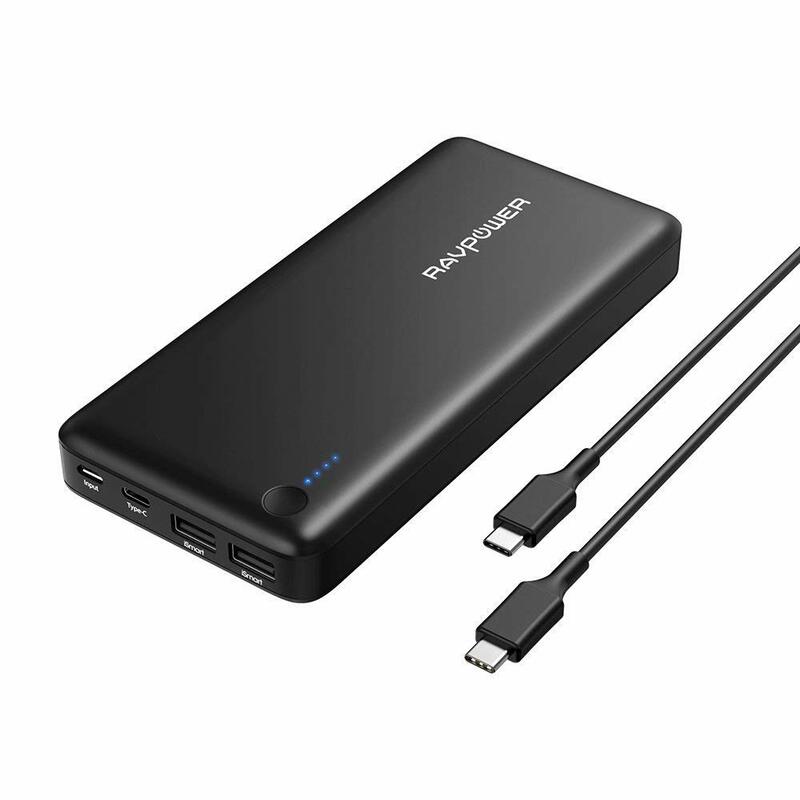 Fifteen winners will be selected, and each winner will receive one of the following products in descending order. 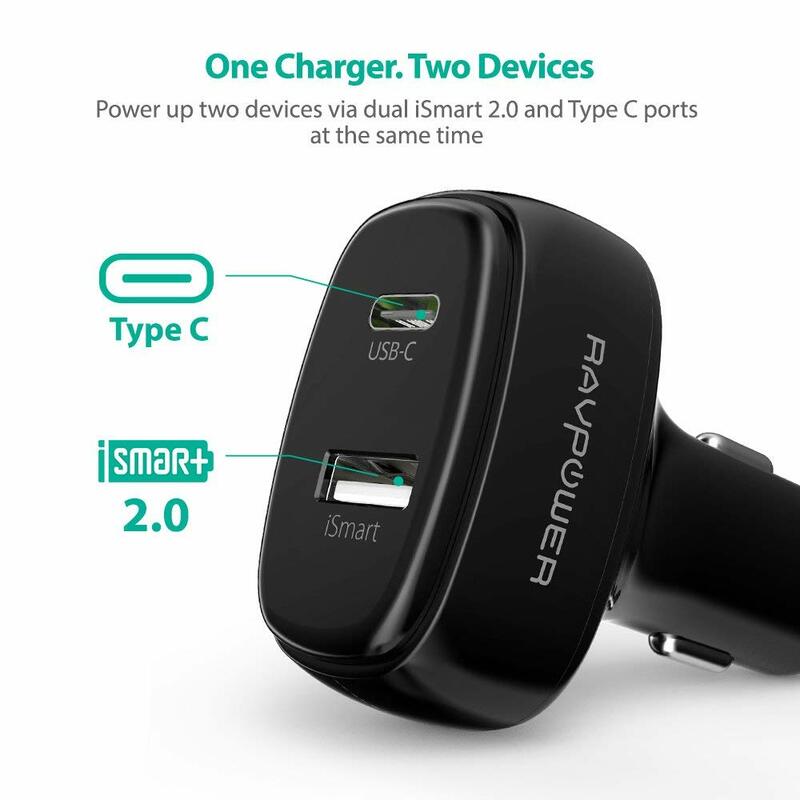 The first 5 will each win a RAVPower 45W PD Car Charger, the next 5 will each win RAVPower 60W 5-Port PD Charging Stations, the next 3 will each win a RAVPower 45W PD Wall Charger, and the last 2 will each win a RAVPower 26800mAh PD Portable Charger. If you'd like a second shot at possibly winning a few of these chargers, make sure to check out RAVPower's Facebook page linked in the giveaway widget below.